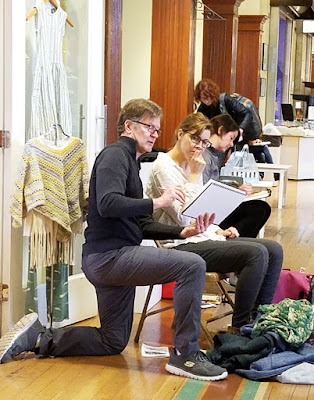 Steve Reddy’s “Confident Contours” workshop today was first out of the gate in USk Seattle’s10x10 program this year. 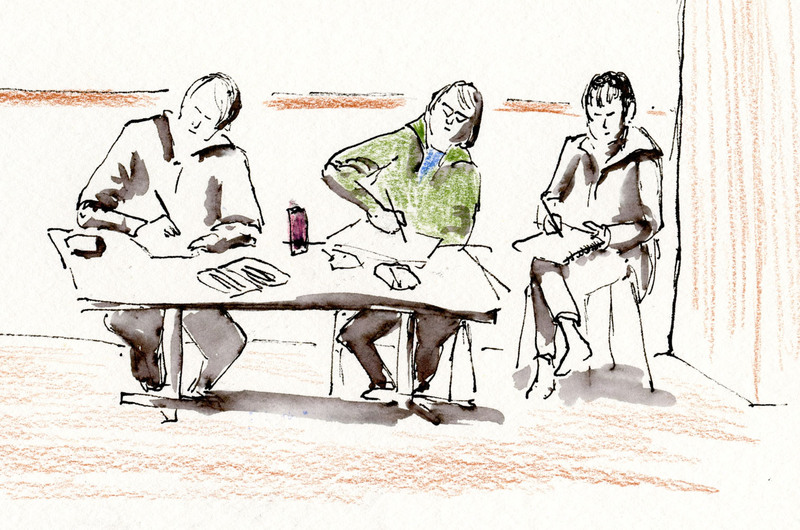 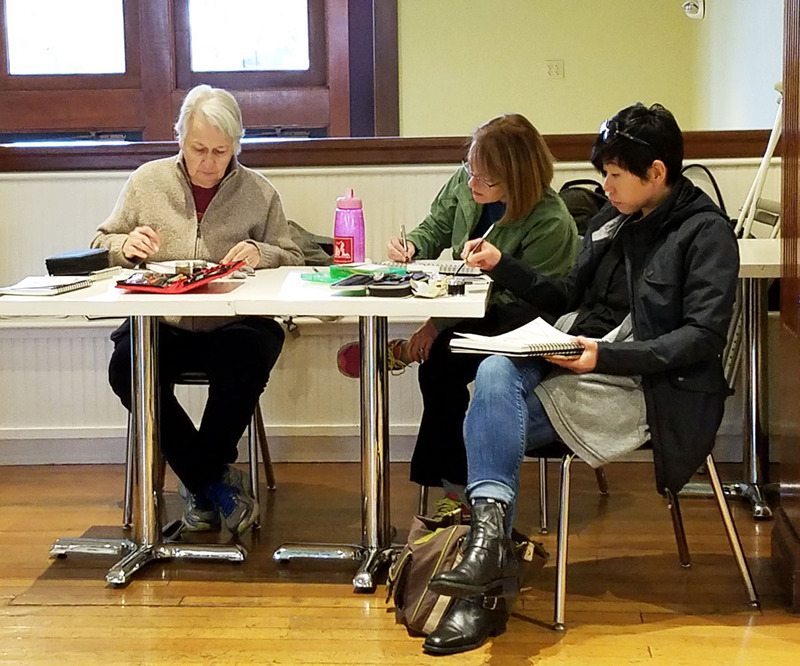 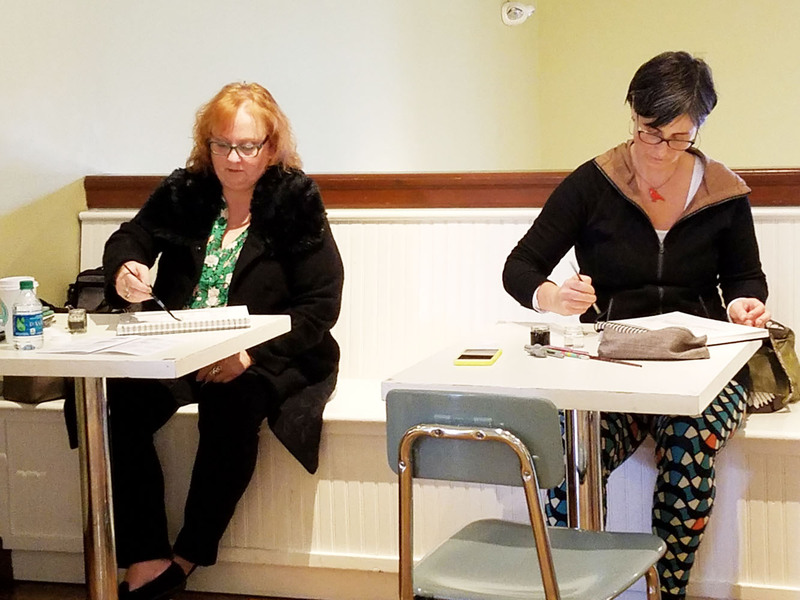 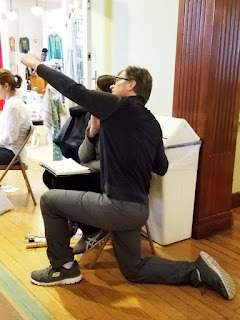 I hopped over to Wallingford Center this morning to see how the workshop was going. 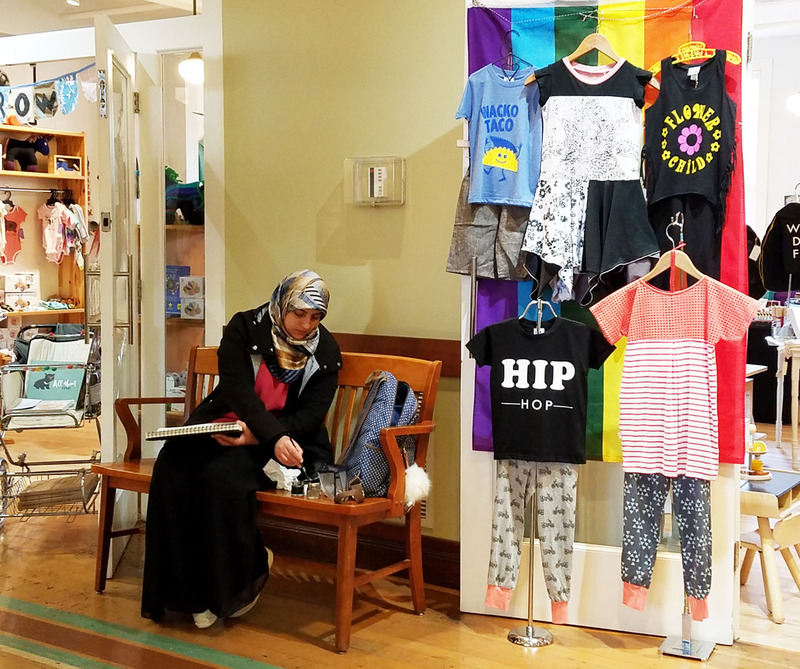 His students were all focused and hard at work learning composition and values in the retail center’s corridor and among the colorful displays.